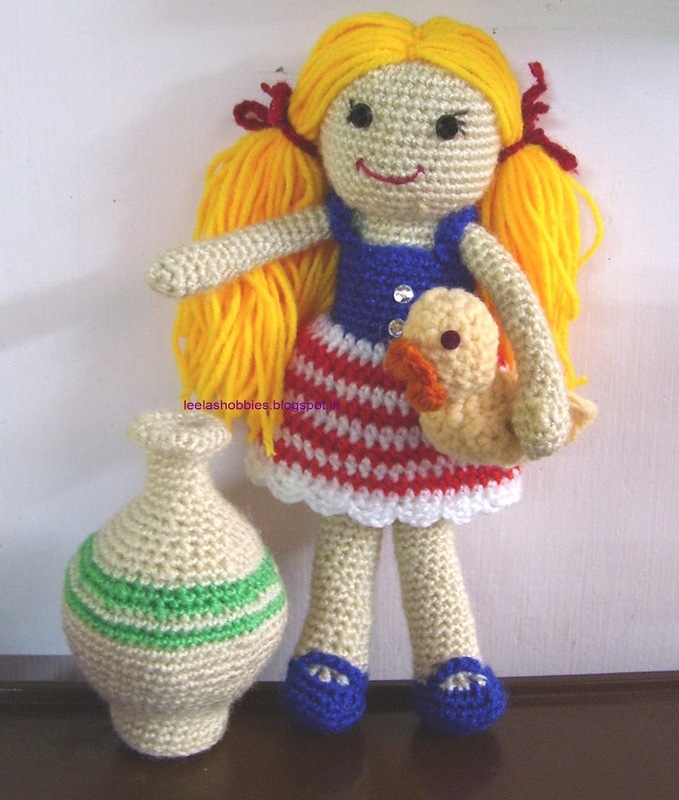 iam displaying an amigurumi girl standing by a crochet jar..i had fun while i was making them..made many other crochet items to play for her..some of them are a mini elephant,frog,duck and duckling..hope you like it..i found all patterns from internet..
Great work with lot of patience!!! VERY CUTE & NICE .... LEELA. I WAS TRYING TO OPEN THIS POST FOR A VERY LONG TIME. 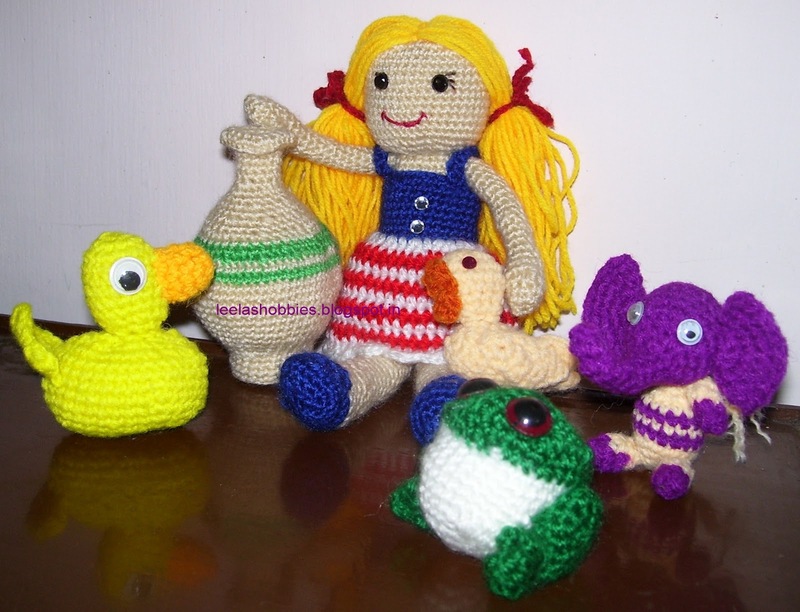 BUT NOW ONLY THE "Little Girl and her playmates" ALLOWED ME TO DO SO. love the perfection in each individual one..Wonderful!! sorry sir i had to publish this post thrice due to power failure and later i deleted 2 of them..sometimes you may have clicked on deleted ones which shows that page does not exist:)..sorry for the trouble..
She is absolutely lovely and so are her playmates ! !